I am using my dripper at 1.7ohm, on my Provari, set at 4.3 volts. On opening the bottle, an ashy aroma, very pungent and robust, fanned from the bottle. I didn't like the smell of this one, as it had a bit of a smokey, ashy scent to it, and reminded me too much of what cigarettes used to smell like. I didn't know how I was going to get on with this one, and was sceptical about trying it. On the inhale, a very strong cigarette like taste, NOT! my top vape, because that's exactly what I wanted to get away from. At first I didn't like this one at all. The flavours were strong, bold and not to my liking. I didn't like the fact that it tasted so much like a real cigarette, but I decided to persevere for the sake of the review, and I'm so glad I did. As my tastebuds got used to vaping it, I started to enjoy it more. It isn't one I would deliberately go out and buy, but I will finish the bottle. I started to like the flavour the more I vaped it. On the exhale, at first it was harsh and tasted raw. I expected it to be sweeter as it's one of the RY's series, but instead it had a bitter, acrid taste to it, and my review wasn't going too well. On persevering with the flavour, my tastebuds got quite used to it and the flavours came through on a totally different level to what I had tasted prior to that. The flavours changed and became quite pleasant. It took me a little while until my palate accepted the flavour. It's a difficult one to get used to, but I have been vaping it on and off throughout the day. I wouldn't have it as an all day vape, but on the odd occasion if I felt like having a strong tobacco, then I'll reach for this one. Summary:- This doesn't taste of a real cigarette, like many have said that it does. To me it is the closest thing to a real cigarette, but not the same as, and if that's what you're after, why not buy some and try it for yourselves. 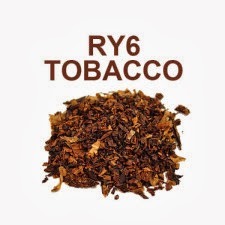 If you enjoy strong tobacco vapes, and are looking for something similar to a cigarette, then this one could be for you. Taste is very subjective. What I dont get on with, others might love, and vice versa. We all have different tastes, we either like or dislike, but if you buy it and don't like it, stick with it as it has turned out to not to be a bad vape after all. Vapour production was great for a 70pg/30vg juice and it produced plenty of vapour, the throat hit was perfect with it being 24mg. The flavour wasn't too bad. Try it, you might be surprised. You can Contact him, either on his facebook page https://www.facebook.com/TotalEliquidcouk?fref=ts where he will be happy to answer any of your questions.